Dr Cindy Wu grew up in Parkville and obtained Bachelor of Dental Science from Melbourne University in 1996. For seven years after her internship at Goulburn Valley Hospital, Dr Wu immersed herself in the private sector of inner city dental groups, with a part-time post at Royal Dental Hospital. When her first child was born, Dr Wu relocated to Kuala Lumpur, Malaysia, due to her husband’s work commitment. 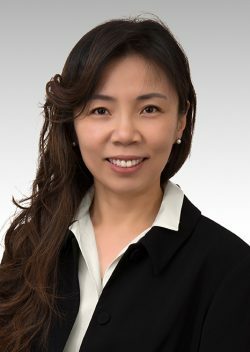 In the past thirteen years, Dr Wu has been a private dental consultant at SMC, a large private hospital in Kuala Lumpur, catering to the needs of expatriates, professors and educators from the neighboring teaching institutions, including Monash Uni. And Taylor’s Uni., as well as clients of medical tourism programs. She was also the head and clinical coordinator of the Dental department at SMC. In 2015, Dr Cindy Wu’s family settled back in Melbourne, as her children were due to start secondary schools. Dr Cindy Wu’s special interest lies in aesthetic dentistry and minor oral surgeries. These include crowns and bridges, cosmetic dental restorations, tooth whitening, surgical extractions and implant dentistry. She has received a Master of Science in Aesthetic Dentistry from King’s College, London, as well as a Master of Science in Dental Implantology from Goethe University, Frankfurt, Germany. "For 20 years I'm on a constant look out for challenges in dentistry. The reward has always been beautiful smiles where patients and I take the journey as a team."